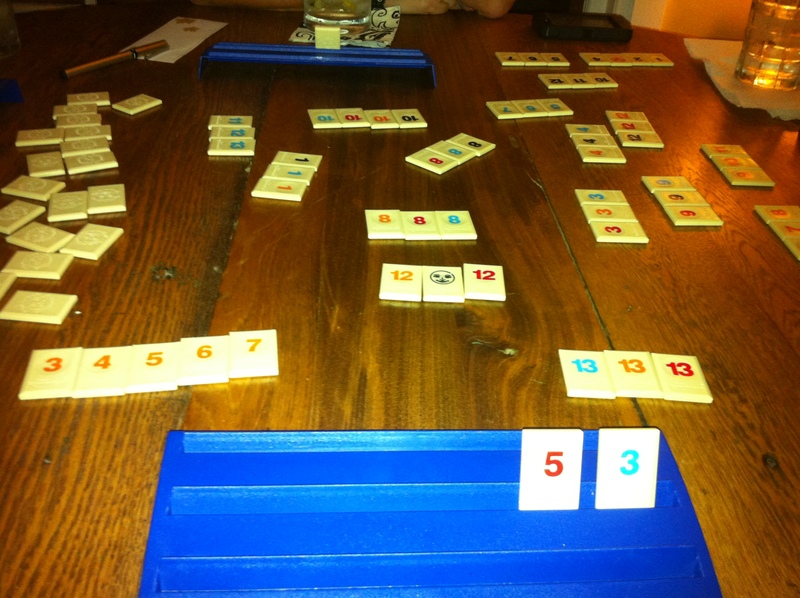 The other day we went over to a friend’s house and played Rummikub. This game is FUN–it’s pretty easy to learn and once you play one round you’ll want to play over and over again….hence we played about 5 rounds the other night! Good times. 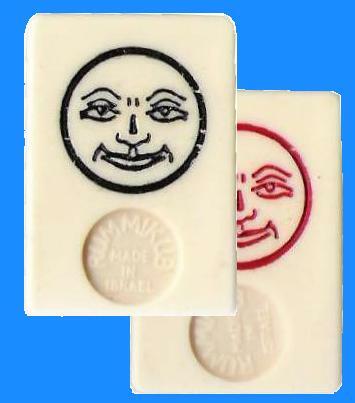 One funny thing about this game though is there are two “joker” tiles….how CREEPY do they look? Everyone should find a group of friends or strangers if that’s your style and play this game. Good times! This entry was posted on August 20, 2011 at 9:48 am and is filed under Uncategorized. You can follow any responses to this entry through the RSS 2.0 feed. You can leave a response, or trackback from your own site. 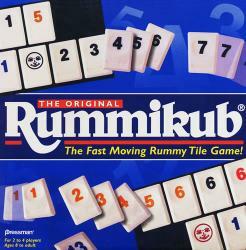 I don’t think I’ve ever played Rummikub, so I guess I should just take your word on it being fun. I can agree that the jokers are kind of on the creepy side! Love the game!!! We used to play it all the time growing up at my grandparents house. And I still play. I love sequence too! Yay, Rummikub, great game! 😀 Haha, yeah, the jokers look a bit creepy..
so you guys are into games, right!? go to Toys-R-Us or Amazon & look for the game “Jungle Speed”. it’s a card game and LOADS of fun. and if you play with anyone spastic, kinda dangerous. lol, but it really is so much fun.